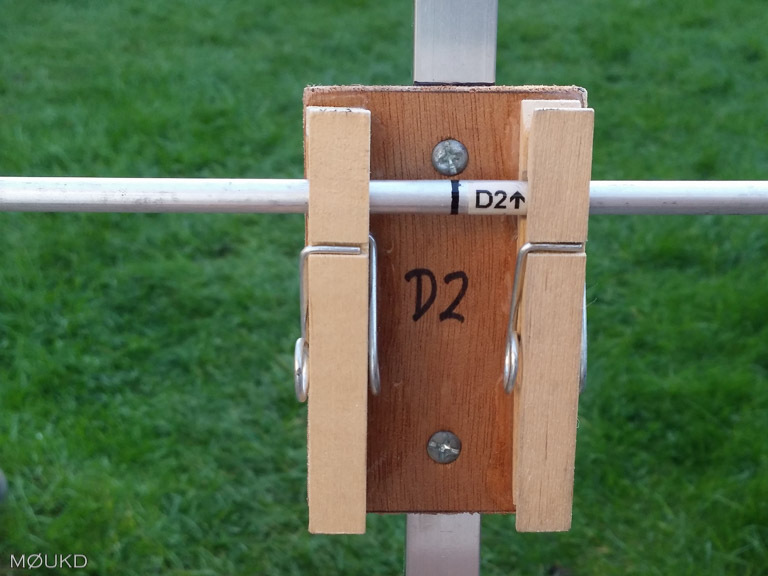 Version 4 of the portable beam, the ‘PegTenna’! 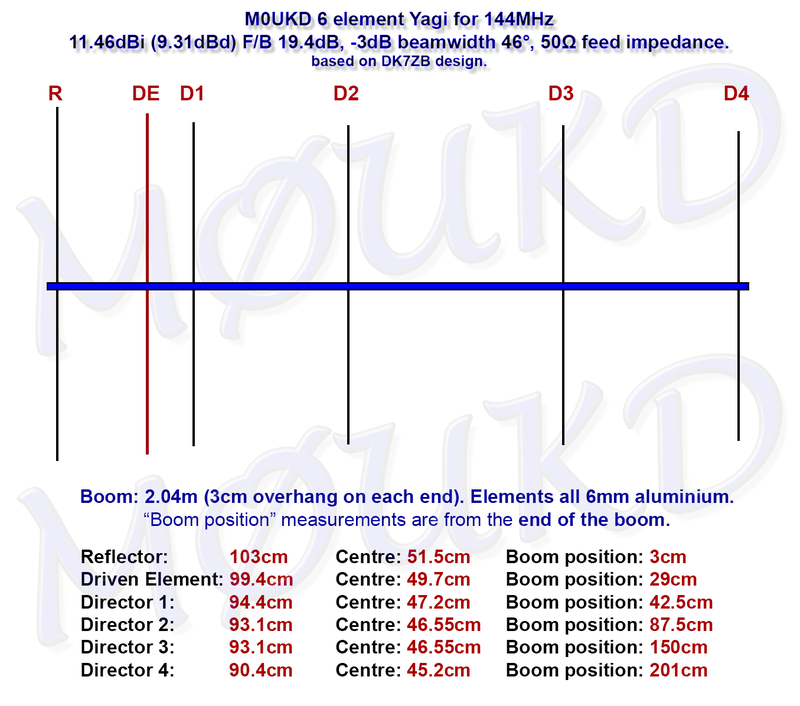 This page contains construction details on a 2 metre 144MHz VHF Yagi beam antenna, designed for portable use. 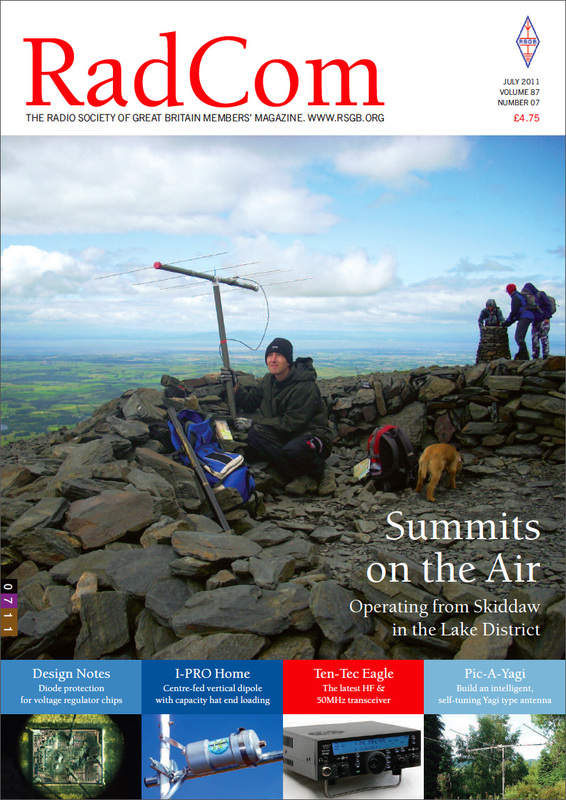 Since an old 5 element version (v1) of my antenna was shown in the July 2011 edition of RadCom, a few people have contacted me asking for some information on how it was constructed. 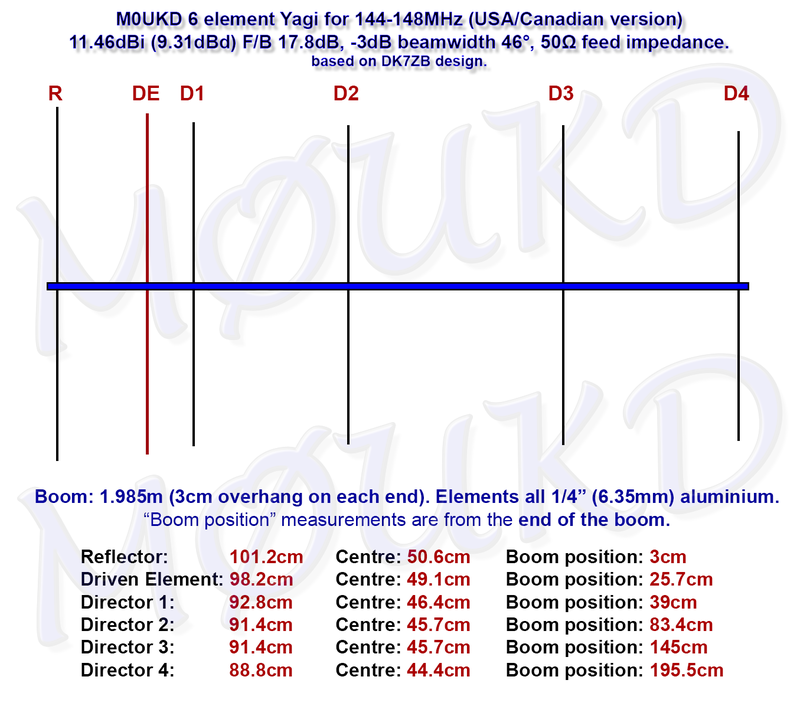 It has gone through a few revisions over the years (this is version 4) and is now a 6 element Yagi Uda (poor Uda never seems to get a mention), based on a DK7ZB design, with a little tweaking in EZNEC. 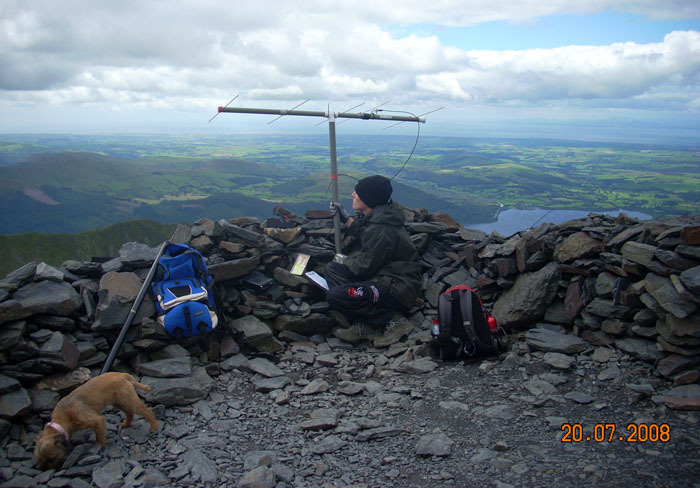 The challenge for this antenna was that it had to be compact enough to walk up a mountain and be very quick and easy to assemble and disassemble. 6 elements was chosen, as the boom length is 2m (6.5ft) which keeps it portable, whilst still having good gain. The next problem was how to build it so it can be put together quickly. After a lot of thinking, I decided to use wooden clothes pegs to mount the elements and driven element. Previous versions I have made used large screw terminal blocks, perspex, plastic booms, but this is certainly the best version so far! 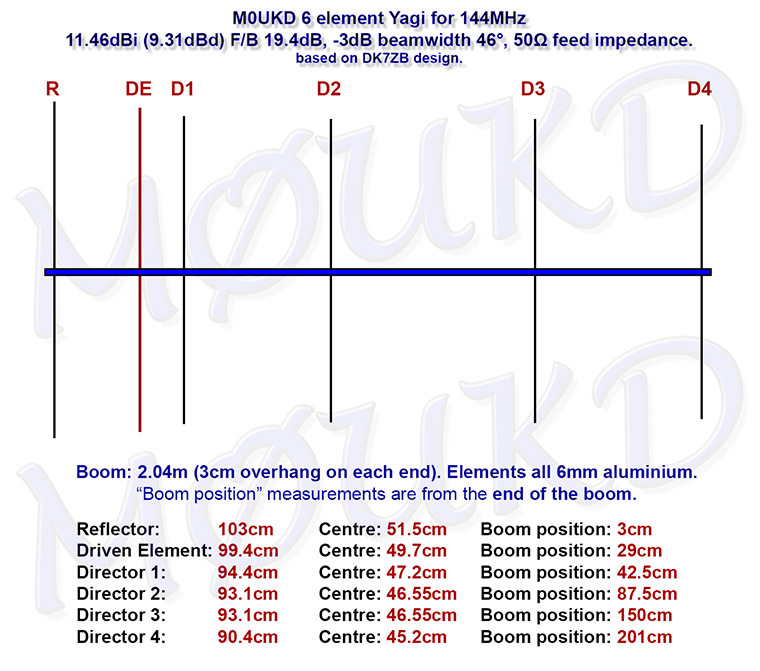 The dimensions of the 2m beam antenna, centered on 144.4MHz. Click for a larger image. 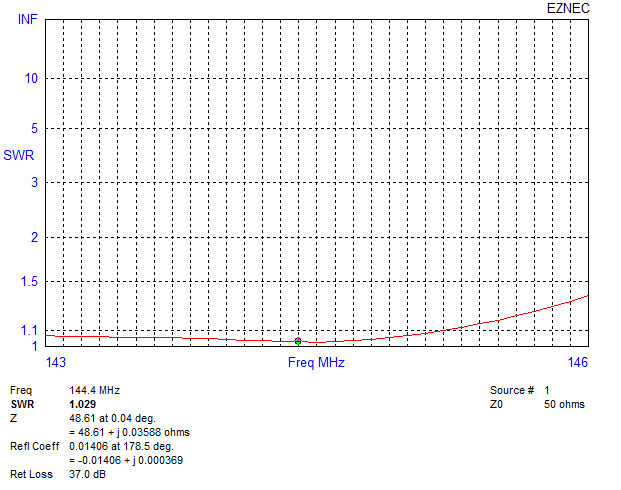 SWR plotted from 143MHz to 146MHz with cursor at 144.4MHz. First test with antenna mounted 3m above ground. 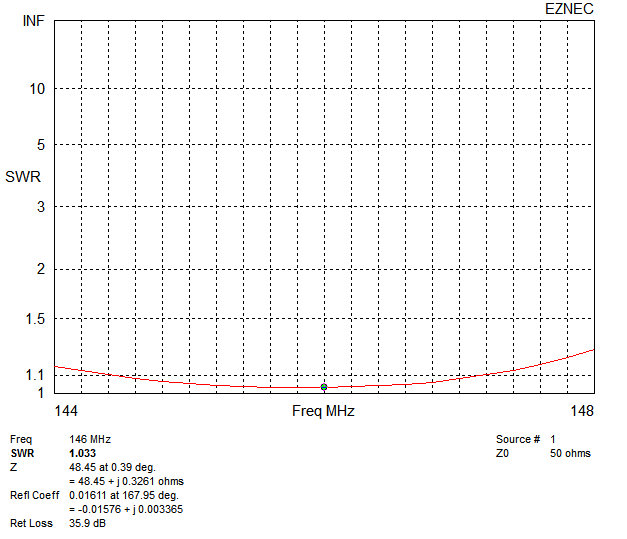 Very happy to see this on the analyser! 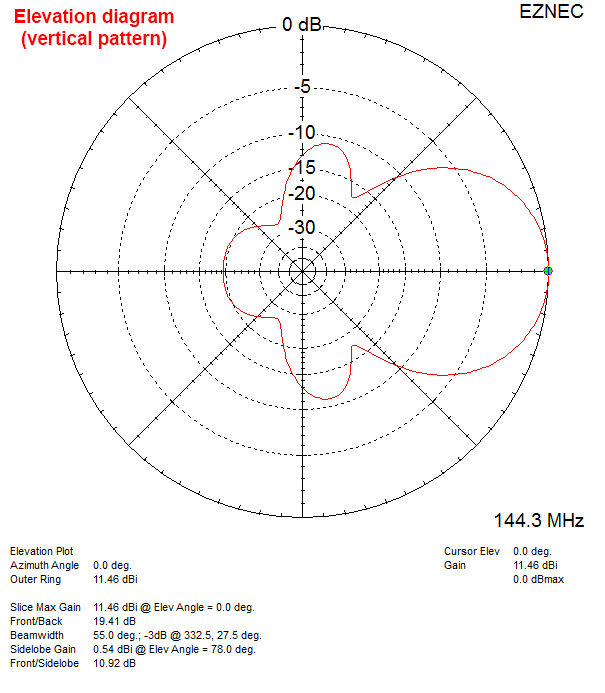 Never seen it like this before on any other antenna. Of course there are many ways to fabricate a Yagi antenna, but hopefully this page gives you some idea of some options. 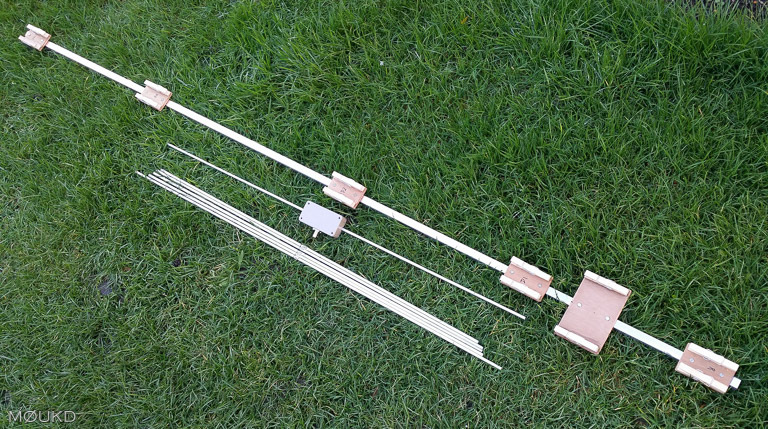 Below are some photos showing in detail how the antenna is put together. The antenna disassembled. It can be put together in 30 seconds! The elements are numbered and marked with a black centre line for ease of assembly. An element in place. 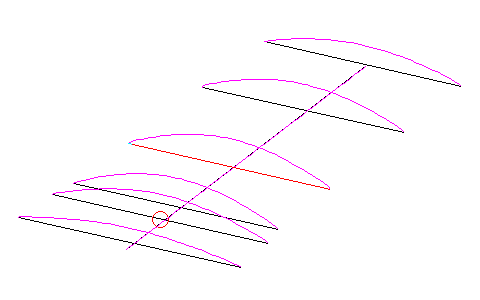 The black line is centred to the screw, which is centred to the boom. The driven element has a larger plate to accommodate the box which contains the choke and driver assembly. 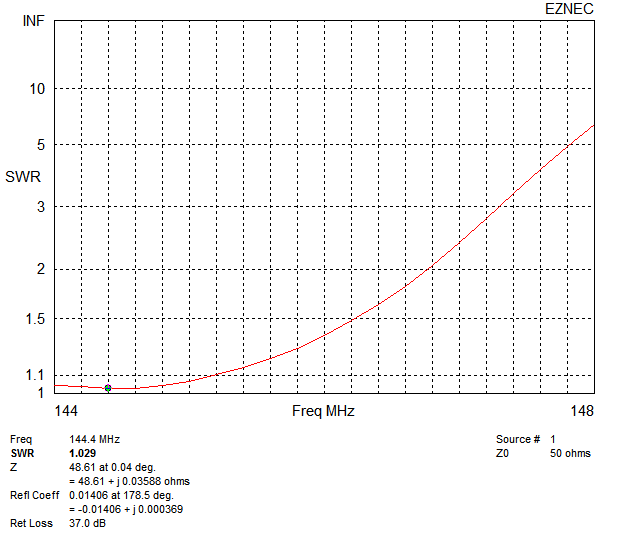 I have used an unknown ferrite with 4 turns of RG174 as a common mode choke. I first tried a small air wound choke, but it was not very effective. 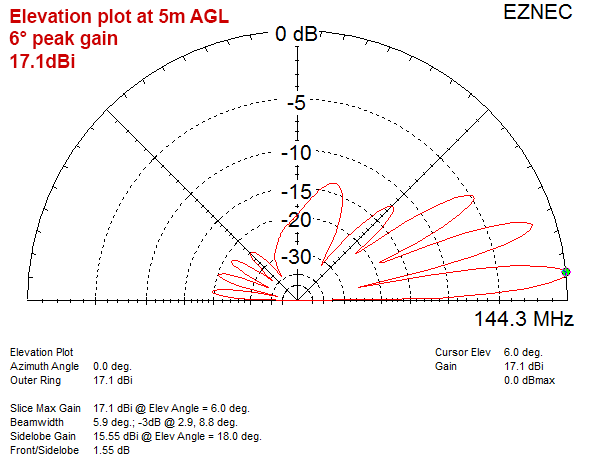 I have yet to test this method with 100w of RF power, but I think it will be OK.
Gil, F4WBY built this antenna to use with his new Icom IC-251E and made a video of his build, which you can see below. Cheers Gil! 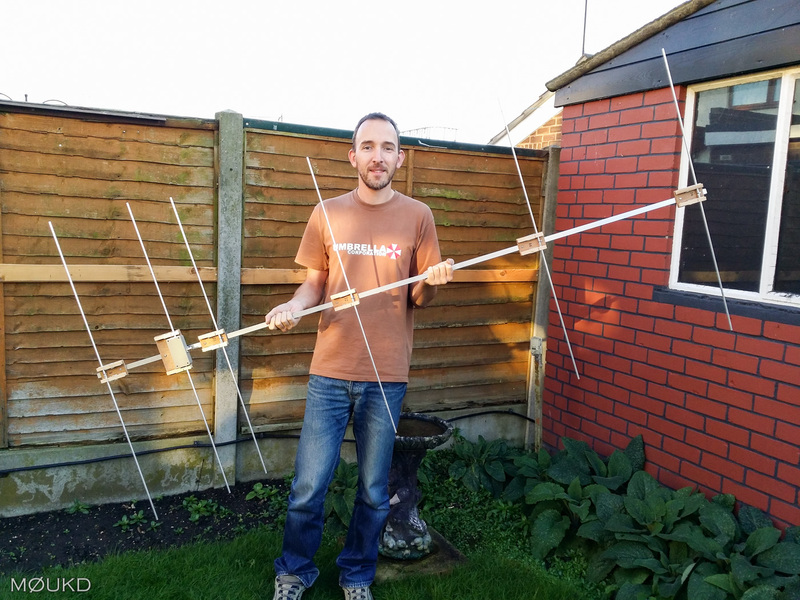 Some photos of using my original homemade Yagi are below. I shall add some of the new one shortly! 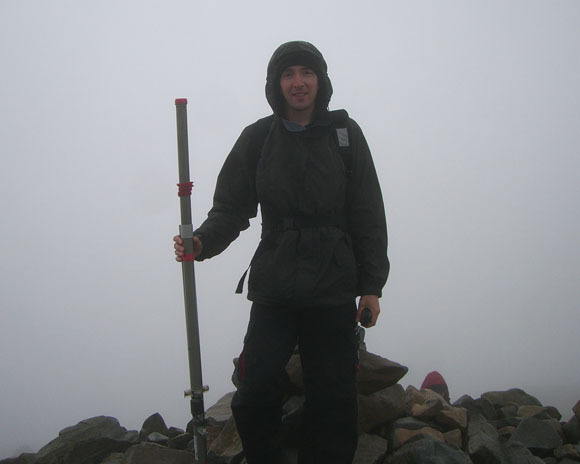 John, M0UKD on the highest point in England, Scafell Pike. 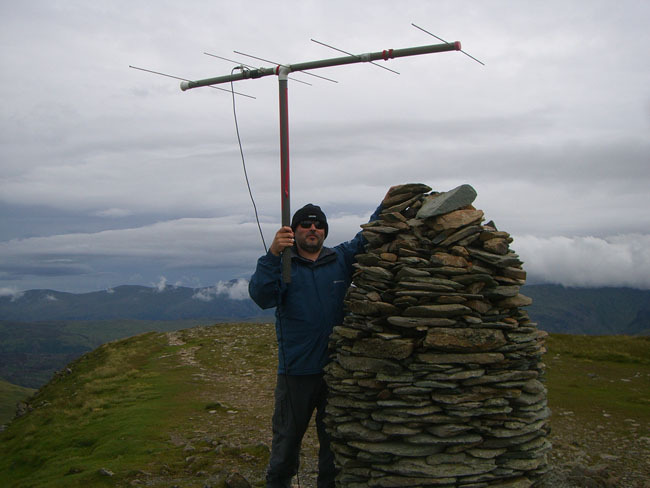 Dave, M0TAZ with version 1 of the beam on the summit of Dale Head. John, M0UKD operating on FM with version 1 of the beam orientated vertically. Summit is Robinson. 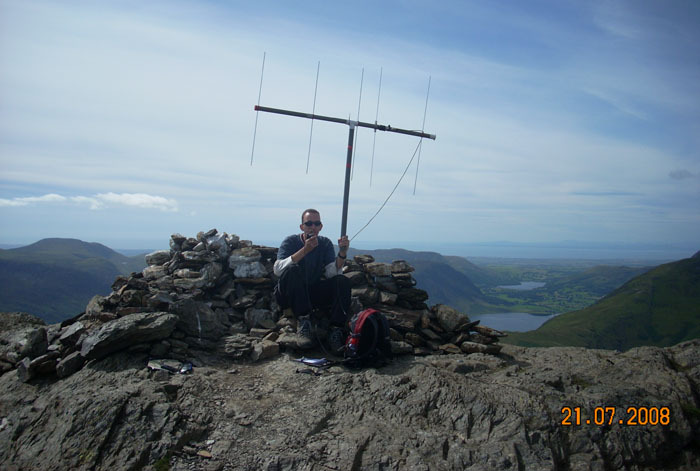 John, M0UKD on Skiddaw with version 1 of the beam. 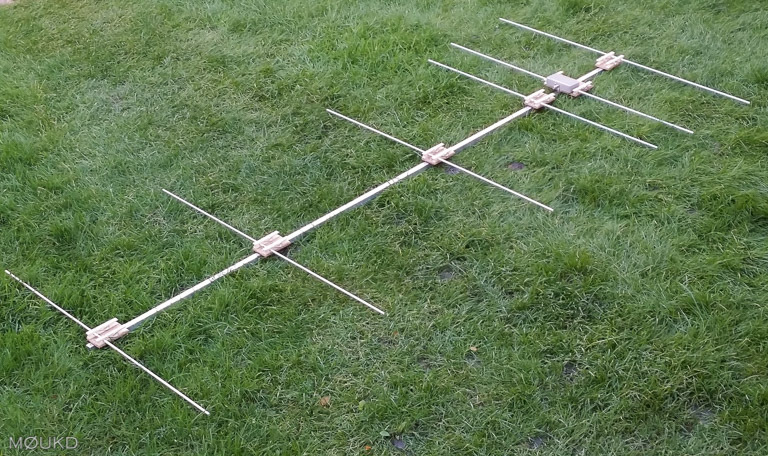 If you decide to build this antenna, I wish you good luck. I would love to hear your results if you do, please get in touch! John. I use aluminiumwarehouse.co.uk – They are in Hertfordshire, but deliver. Regarding the question about rod or tube, either is fine. Of course tube is lighter and more rigid than rod. 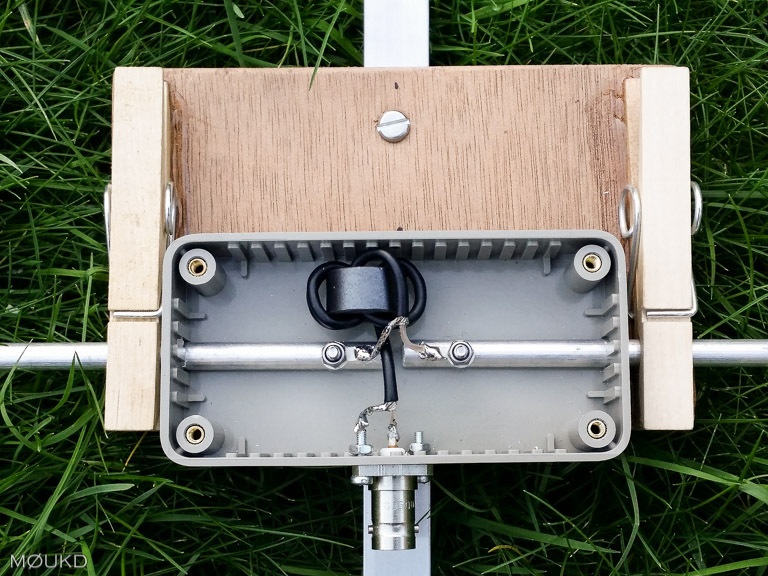 Greetings John, I am new in amateur radio and I built a version of your antenna to try to reach out from the little valley where I live, with only a hand-held radio. It works very well. I’m thinking of using it for a more powerful system like a 25 Watt base station. How many Watts do you think this unit can handle? Thanks for the effort to post the plans and other info. It was a fun project for $30 that has paid off well. I’ll send a photo, if I can. 25W should be fine. I only used a small choke, but that’s the main power limiting factor. The antenna itself i’m sure would be OK with 1kW! Nice to hear about your experience. Yes, it will a little, all elements would need to be a little bit shorter. If you want me to remodel it for 12mm tube, please drop me an email. 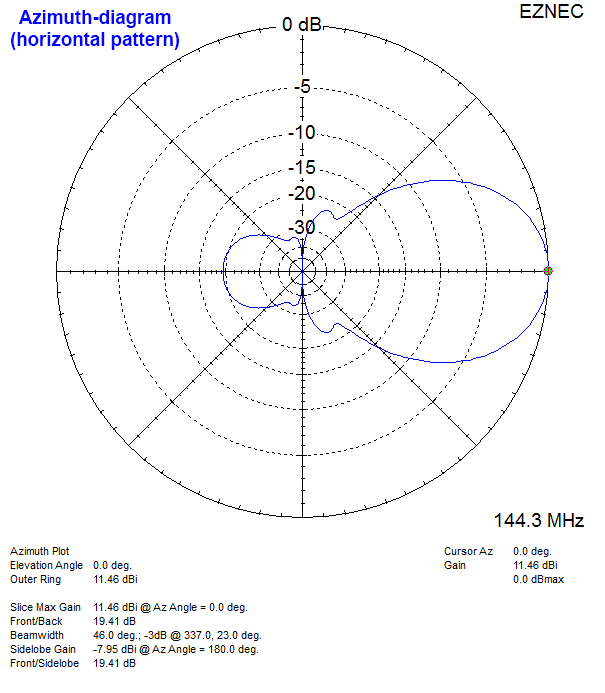 Hello, I am building your antenna and want to make a video… Could I use some of your images in my video? With all credit going to you of course and a link in the description…? Thanks. Clothes pegs are a stroke of genius! Sure, that’s not a problem. I hope your build goes well and you have fun with it! 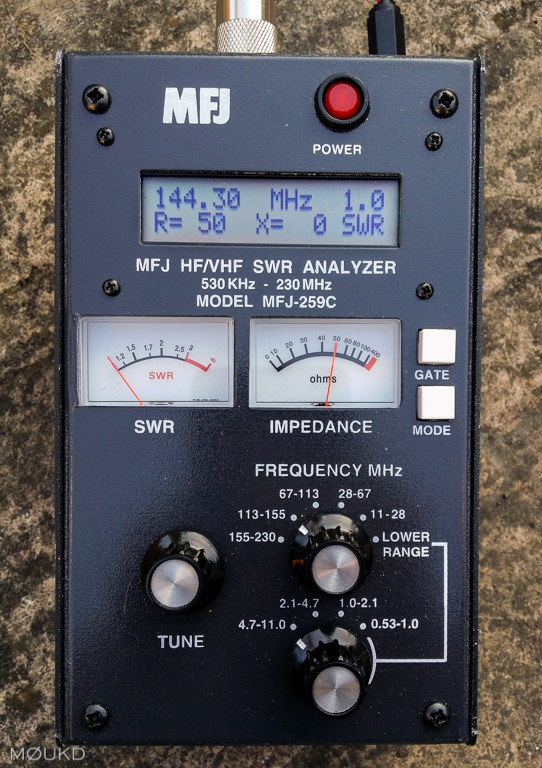 Maybe work you on 2m SSB with your new Icom soon! Please see my comment at the link below, I think it will be good for you! Good luck, John. Wow, amazing what you can build one out of! Glad you had success with it! 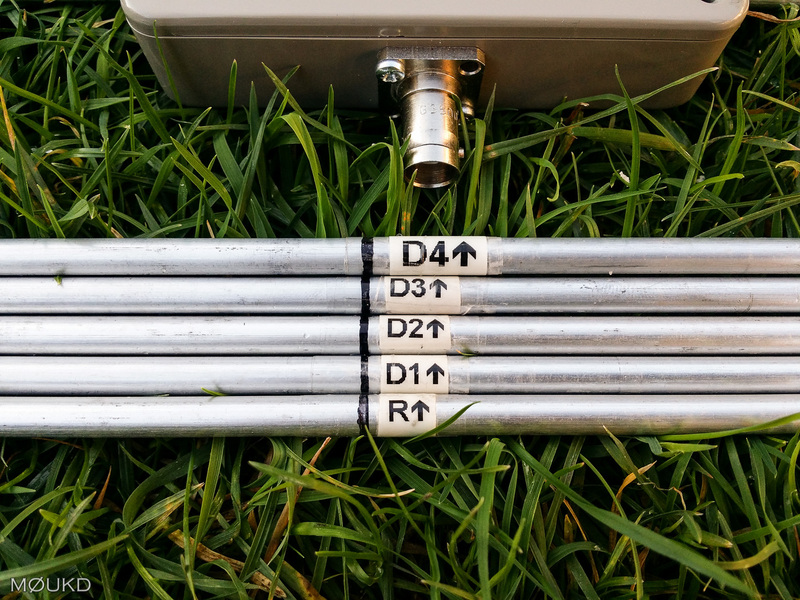 What would be change in element size and spacing if I use 3/8 inch diameter elements ? Hi. The spacing would stay the same and the elements would be slightly shorter. You could build it as it is, see how it goes, and cut them down a little at a time, say 5mm, then see. It wont be a lot! Love the clothes pin element holder! !